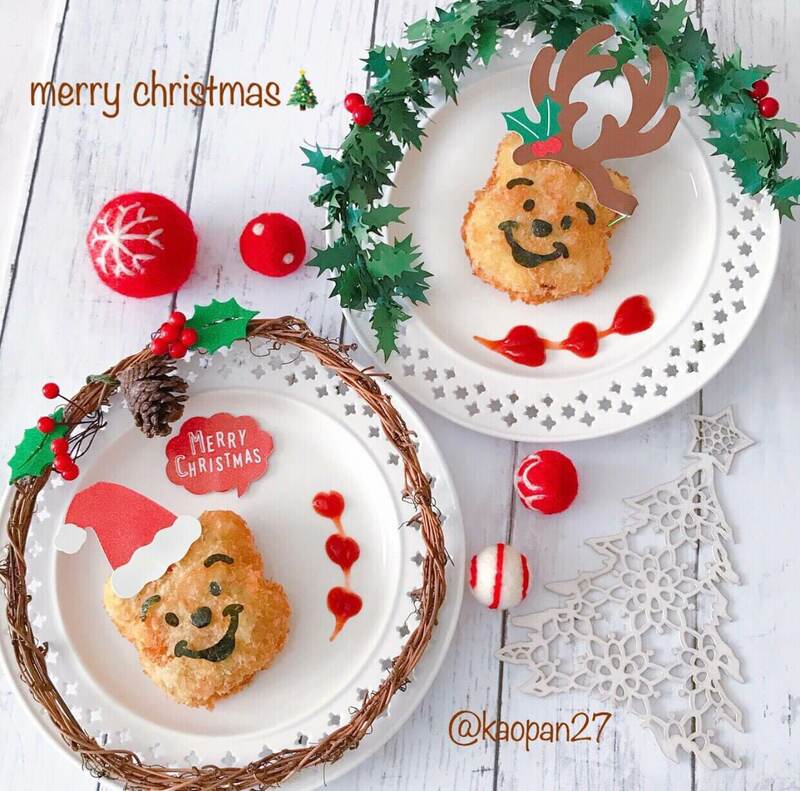 This time, I will introduce to you “Winnie the Pooh Potato Croquette! 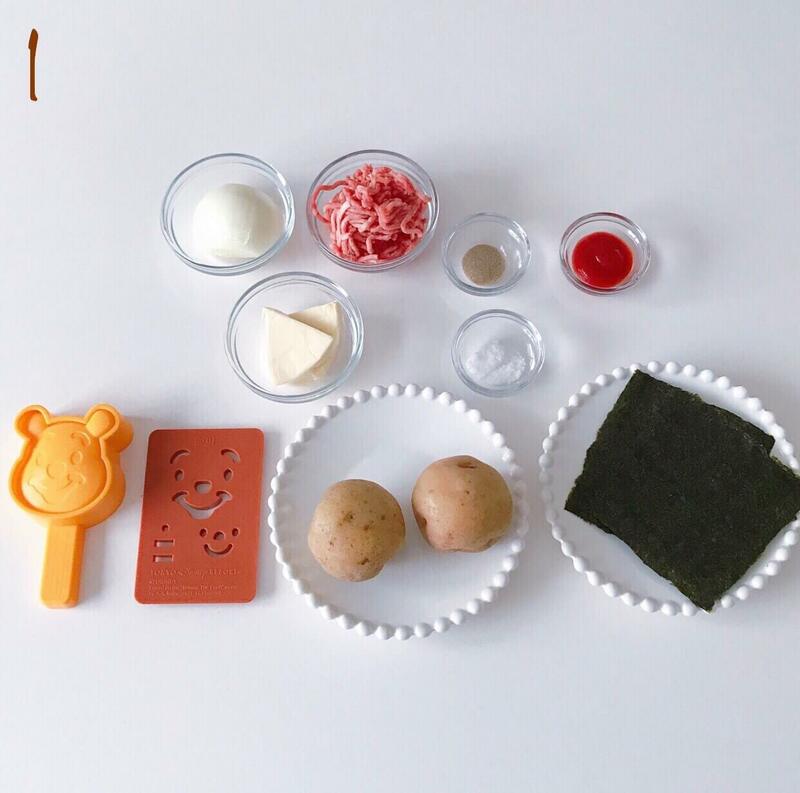 ☆You can use a cutout sold in a 100-yen shop or shape the Croquette using your hands. 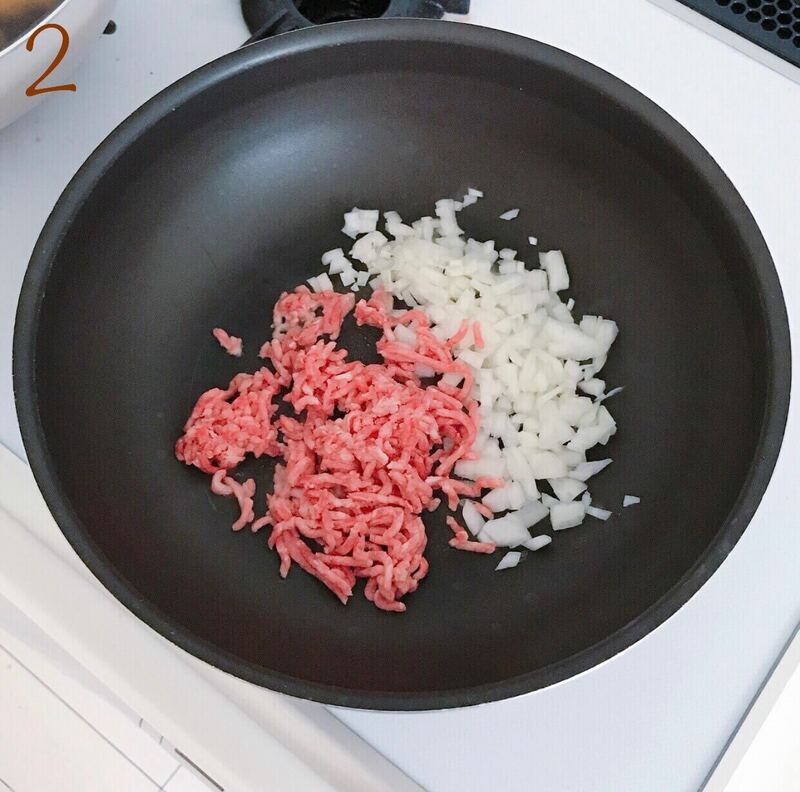 2：Fry ground beef and onion. 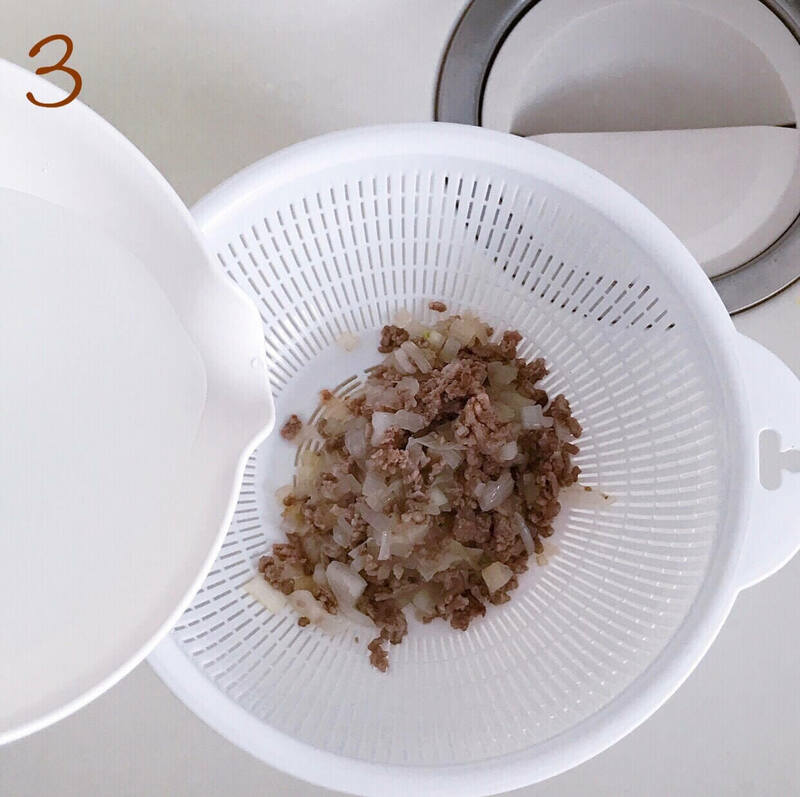 3：Pour hot water on the ingredients to get rid of oil. 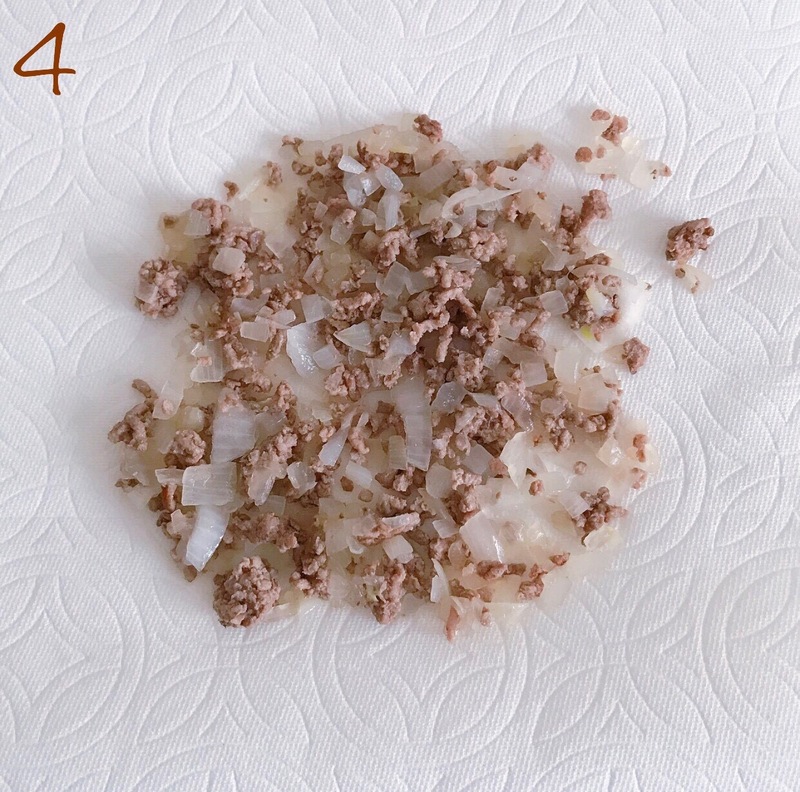 4：Place the ingredients on a kitchen paper and drain them. 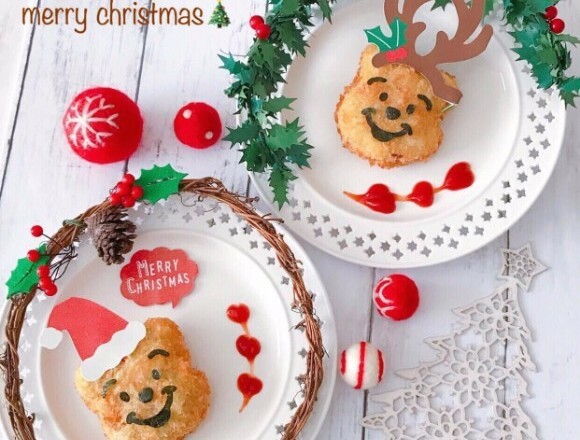 ※the texture of the croquette will become soft and you can reduce calories by getting rid of some oil. 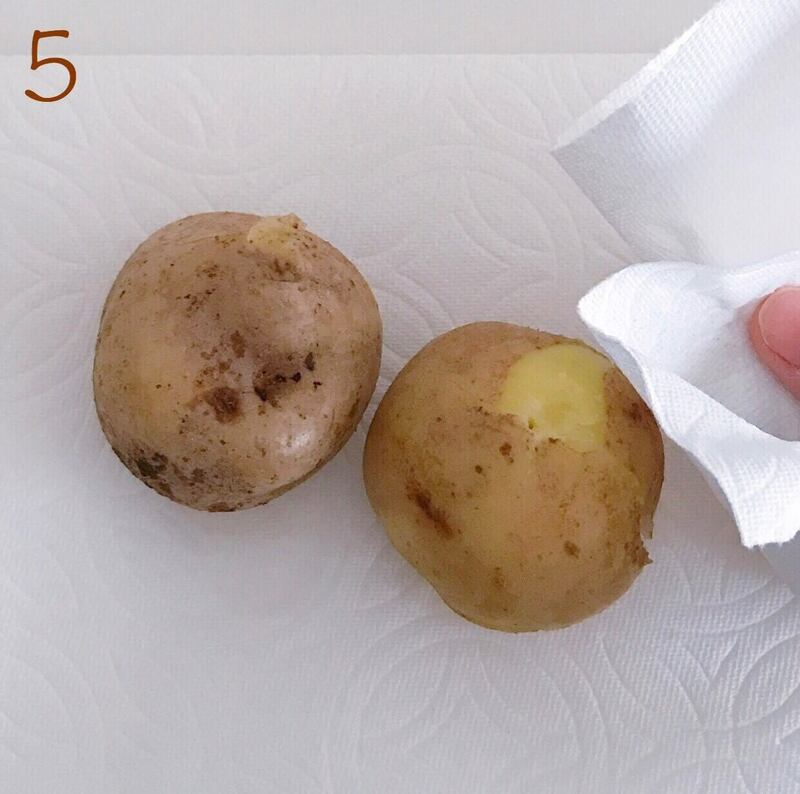 5：Boil the potatoes and peel the skin. 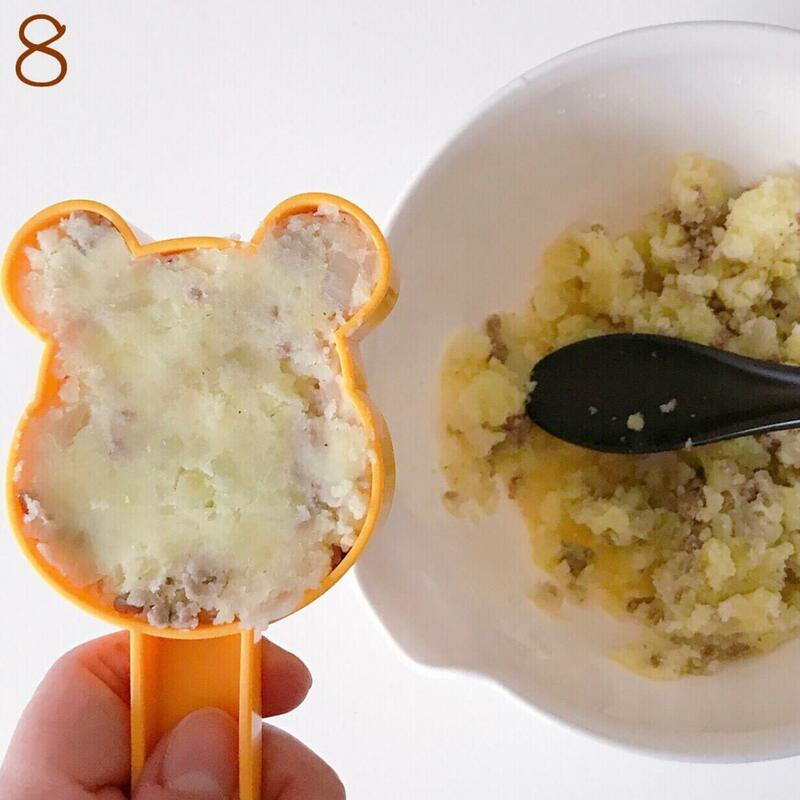 6：Crush the potato using a potato masher and mix it with salt and pepper. 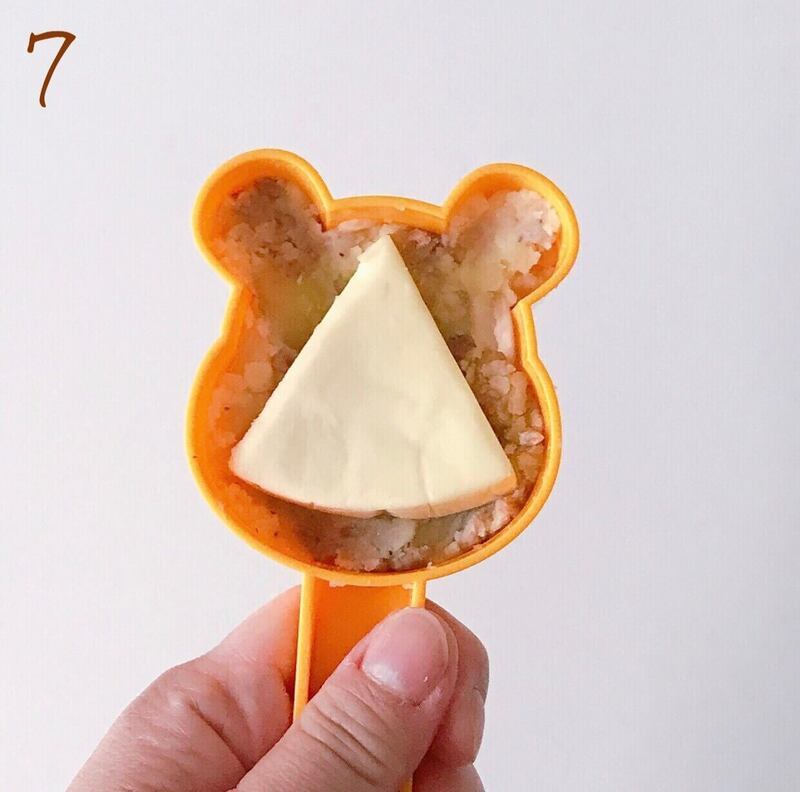 7：Put the ingredients of step 6 into the cutout with cheese. 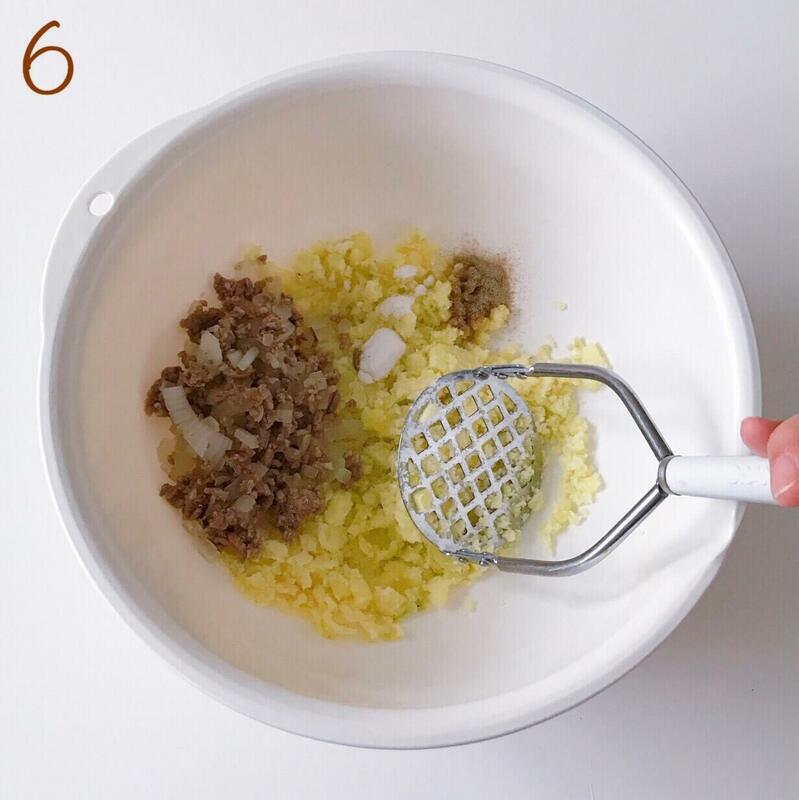 8：Place step 6 ingredients on 7 and close the lid. 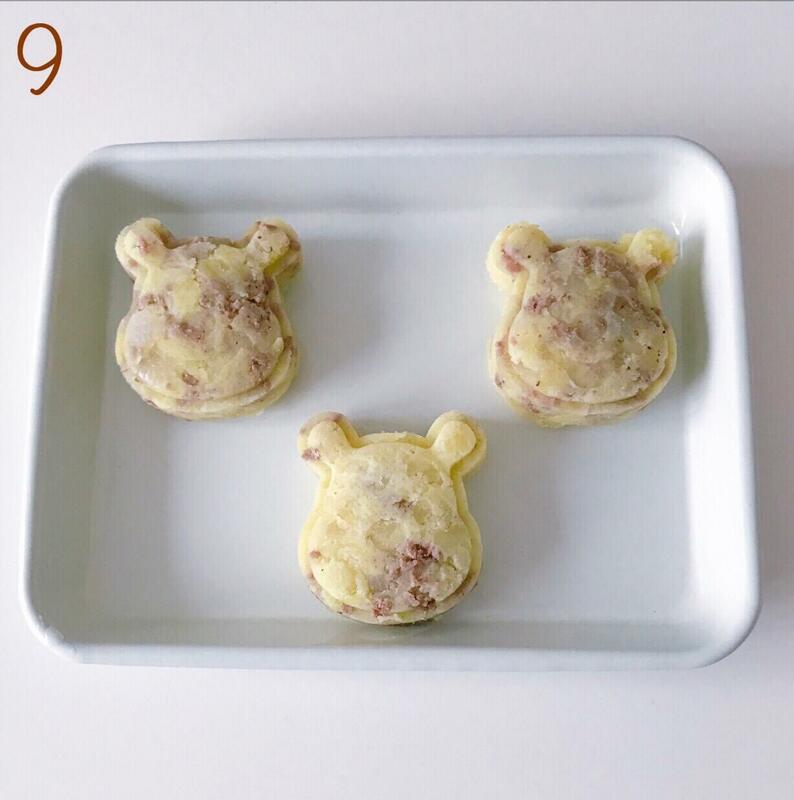 9：Take out the ingredients from the cutout and reshape it. 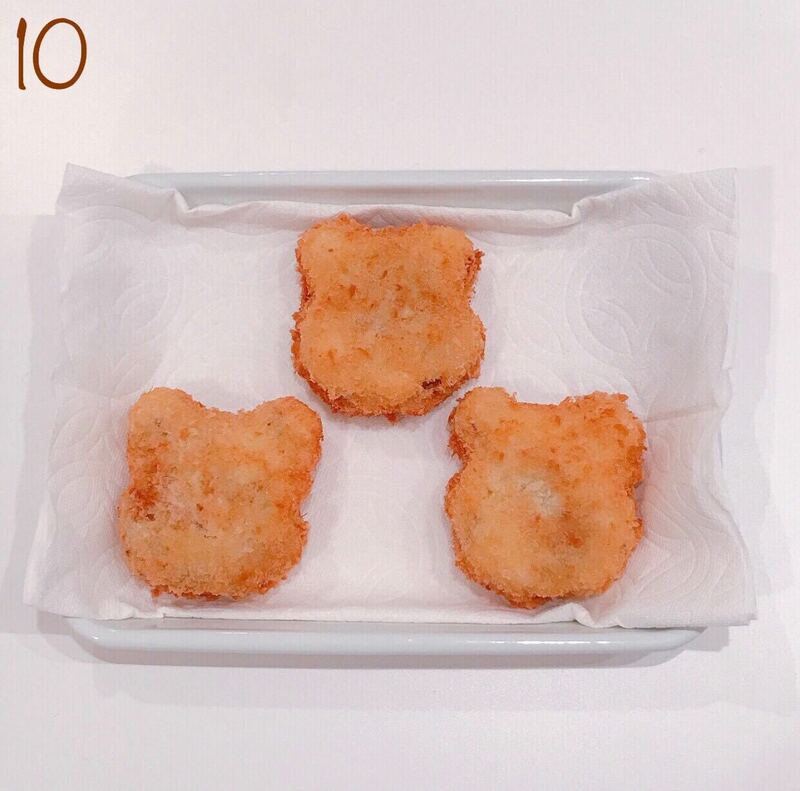 10：Deep fry the croquette at 180℃ oil until it gets brown. 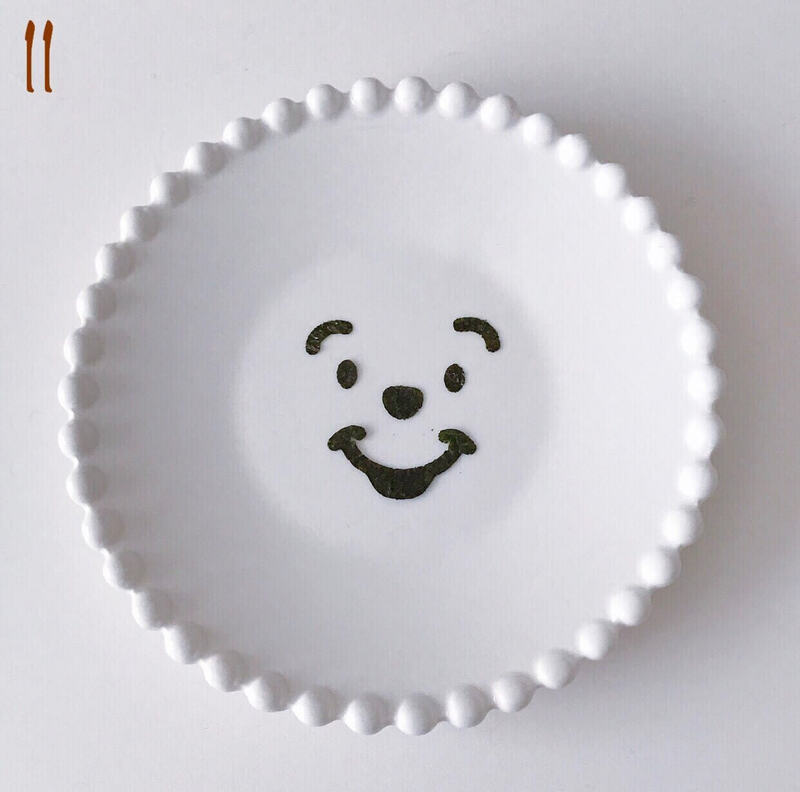 11：Cutout of the seaweed and place it on the croquette. Lastly, pour a little bit of ketchup on top.